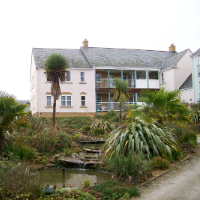 Tetlow King Planning (TKP) were instructed to advise Retirement Villages Ltd with regard to the extension of the existing retirement village at Roseland Parc, Tregony, Cornwall. The village comprised a care home, cottages and apartments. TKP advised on the scope for redevelopment of the Grade II Listed Walled Garden area for the development of 4 extra care units benefitting from wonderful views of the Cornwall countryside. There were a number of constraints including; a steep incline, heritage issues due to the Listed Walls, the condition of the walls themselves and the linkage with the existing village. All were overcome in conjunction with the architects KWL and permission was granted for 4 units in the Walled Garden. Furthermore, Retirement Villages sought advice on the conversion of the former offices and staff accommodation on the site in the former stable of Roseland Parc. Issues included bats and links with the existing village. These were overcome and permission was granted for the conversion of the stable block to 2 extra care units.